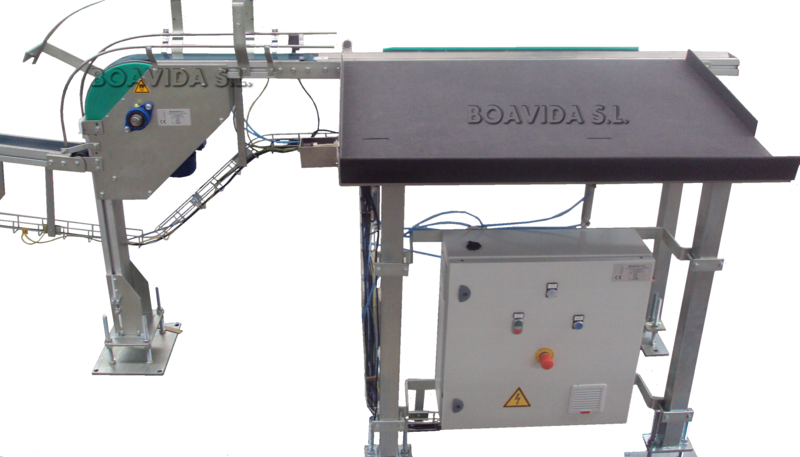 Depending on clients needs, Boavida manufactures two types of pail stackers, horizontal or vertical pail stackers. 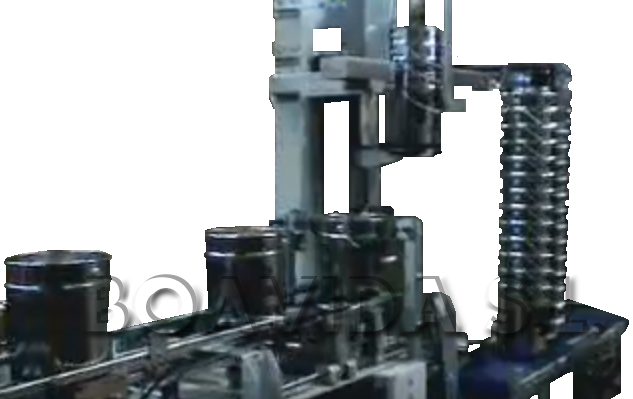 In the horizontal stacker, once the pail's column is completed, it will be automatically moved to a tilted accumulation table so it is removed by the operator when needed. 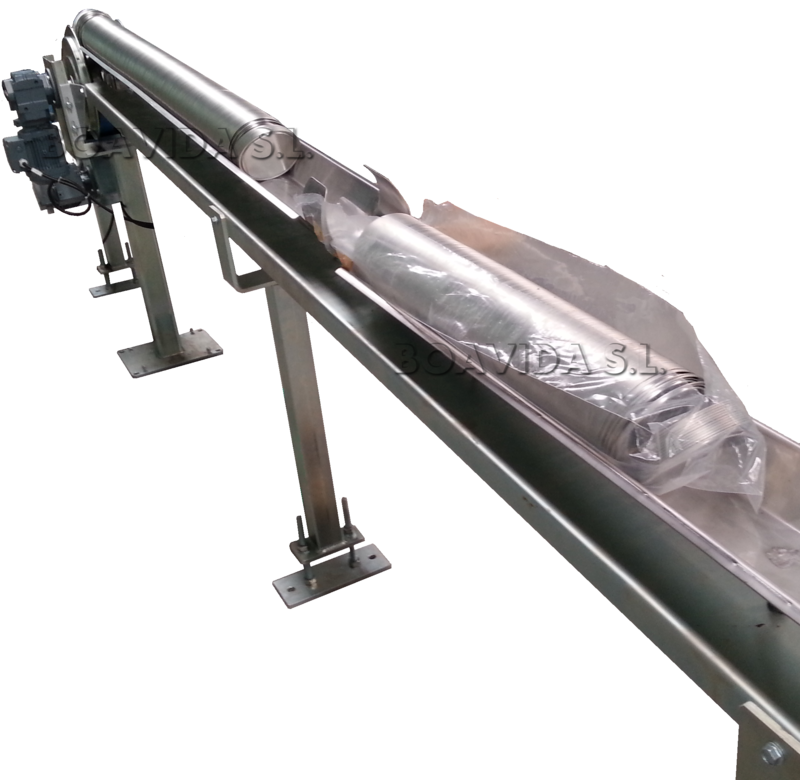 In the vertical stacker, once the column with stacked cans is completed, will automatically pass it to a conveyor belt so it is palletized. 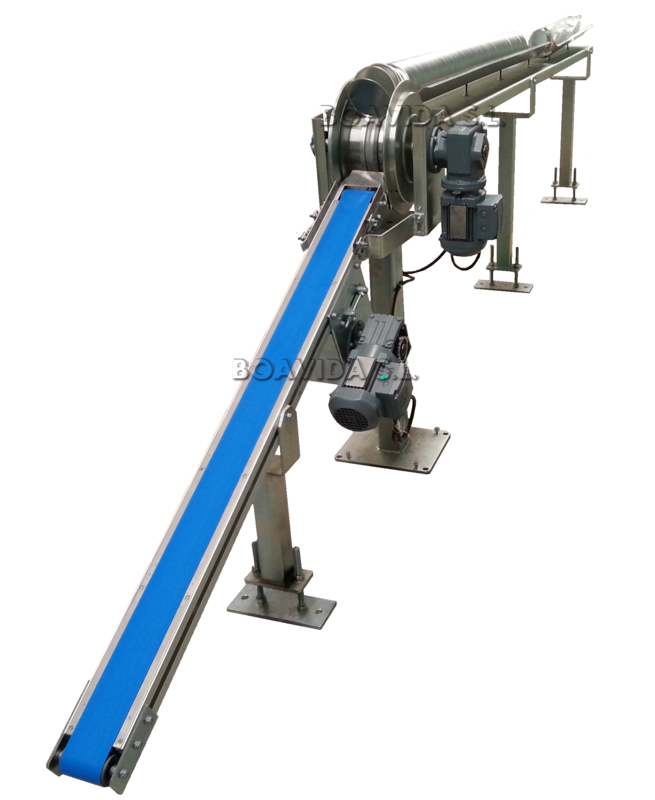 Through a input conveyor belt, lids are turned on a magnetic pulley and automatically accumulate in a tray. 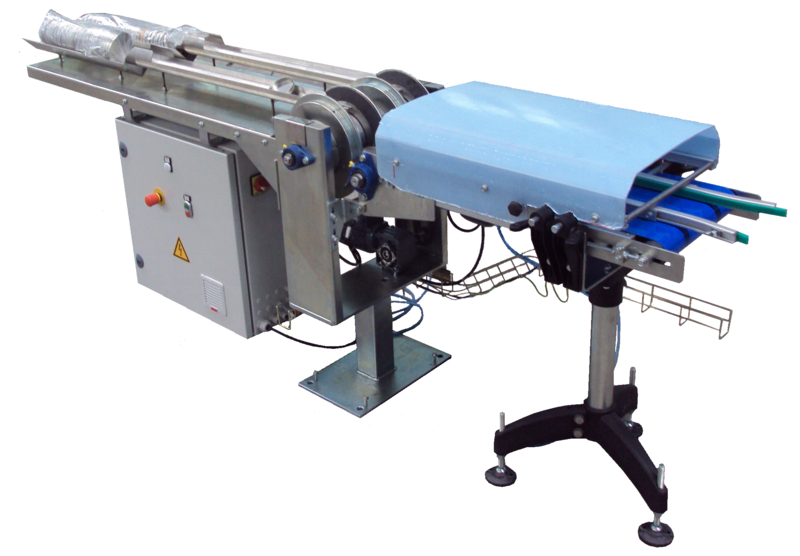 Following through a semiautomatic system and into a second tray lids are bagged in either plastic or paper baggs. Suitable for all kind of speed productions. For round, oval, square and rectangular lids.